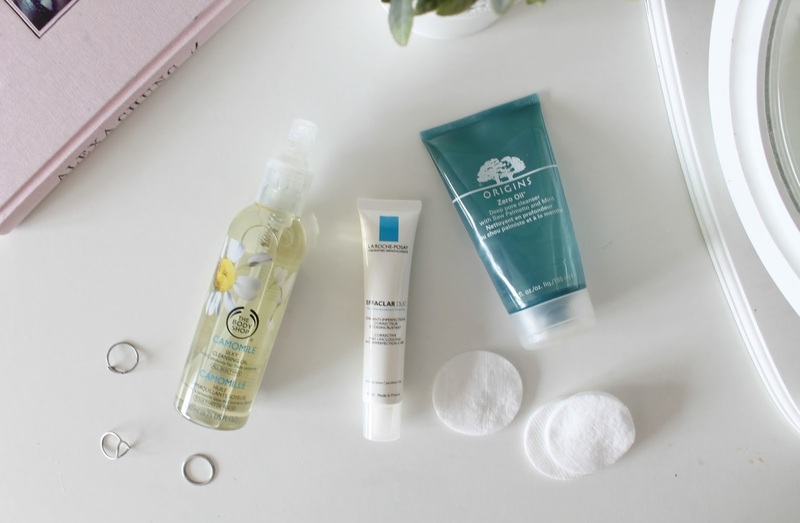 For this months Skincare Sunday post I thought I'd switch things up a bit and share some tips I've learnt along the way that have really helped to improve my skin. My skin has always been one of my biggest insecurities but I feel like now it's finally calmed down a bit and it's definitely as a result as some of these tips as well as great skincare products too! I'm in now way a skincare expert as my complexion is still FAR from perfect but I definitely think these tricks and tips could help you too if you're suffering with blemish/spot prone skin. 1) WATER! This is probably the most repeated and talked about tip for keeping skin looking clear and glowing but I can honestly vouch for this one and say it 100% makes a difference! I've never been a massive fizzy drinks fan anyway but if you are, simply swapping this out for water at dinner time will be a step in the right direction for helping improve the overall appearance of your skin but also leave you feeling more revitalized and with more energy too! I've been drinking about 4 glasses of water a day now and think this really is one of the biggest contributing factors in helping my skin go from crazy red and blemish covered to more manageable and clear! 2) Don't use overly harsh products that strip your skins natural oils. If your skin is oily like mine then this tip is definitely one for you but I think it really does apply to all skin types. I know how tempting it is when your skin is oily to use harsh products to try and counteract it but this is more likely to cause your skin to get worse as your skin will produce more excess oils to compensate for those stripped by products. Use more gentle and if possible natural products to help maintain your skins natural PH as well as combating the oil and leaving fresher and clearer skin. 4) Double Cleanse! This is a tip I definitely picked up from Kate (Ghostparties on youtube/bloglovin') as she alwayyys mentions the importance of double cleansing and I think this is another way you can help your skin to look more glowy and bright.There are a number of products you could combine for this trick but most people would go for a mixture of balms, oils and cleansing waters to really give your skin a deep clean and make sure no bacteria and dirt can be left from the day. I'll leave a link to Kate's YouTube video on her evening skincare routine because I found it really interesting and her product recommendations are always great. I hope you enjoyed this slightly different skincare sunday post. Reviews of skincare products will resume next month but I thought it would be nice to share a few tips that have helped me along the way as well as products!